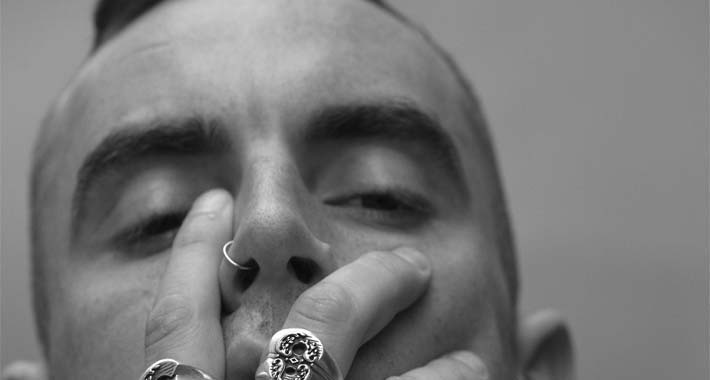 Alix Perez has been steadily growing his 1985 imprint since he established it almost four years ago. He’s worked to craft a certain aesthetic not only for himself and his side project SHADES but for all the artists releasing on the label. The music, merch and album art all reflect this vibe but none so much as the compilation LP released at the end of 2017, Edition 1. With the second compilation, aptly named Edition 2 out today, March 1, we can now guarantee 1985 is bringing even more fresh, unique vibes. One of the most interesting things about these compilations is that they are diverse in the type of music they offer and artists they feature but also quintessentially true to that 1985 aesthetic. In Edition 2 the pendulum swings from crunchy brain-melters like Razat’s “Simplicity” and a surprising minimal darkstep offering by Monty called “Decisions,” to the melodic and liquidy vibes of Perez and Monty’s collab “Good to Me” and a healthy dose of halftime like Tsuruda’s fusion track “Kicking Wolf.” This is an incredibly varied grouping of tracks yet no one will be surprised that all of them have turned up on 1985. When you really think about it, this sort of signature diversity shouldn’t be surprising when one considers Perez’s own style. He’s always been a champion of melding elements of different genres to create something unique, as is reflected in SHADES and his own work over the past few years. With his solo track on Edition 2 “Poison Ivy,” Perez once again shows how well this melding works. “Poision Ivy” opens with a sinister, ambient and bass-heavy intro then fades into some surprising dub vocal samples before a very subtle drop introduces a minimal halftime beat with lots of heavy sub bass to accompany it. In this main part of the track the ambient sounds are back, swelling in and out via sine wave-style builds and deep synths, which punctuate each phrase. The dub reggae vocals also get an ambient distortion treatment, which makes them almost seem to be coming out of the synths and tonal negative space. It’s a chill, unobtrusive track with a lot of sound design play, multiple styles and a definite Perez flair. Though it appears in the middle of Edition 2, “Poison Ivy” puts a nice period on the sentence of the compilation. The album itself is also a great summary of what Perez feels 1985 stands for: diverse bass music that’s also completely unmistakable. Edition 2 releases on 1985 today, March 1. It’s available for purchase on Beatport and the 1985 Music website, where a vinyl pressing is available. Select tracks are available to stream on 1985’s SoundCloud. Fans attending the Rampage on March 29-31 are certain to hear some of these bangers in his B2B set with Skeptical.